Experience Southport’s Winter Wonderland like never before! It’s time to get your skates on and experience Southport as a winter wonderland this festive season. The resort’s Town Hall Gardens will be transformed into an open air ice rink surrounded by a host of Christmas chalets as part of a joint festive campaign by Sefton Council and Southport BID. Running from December 7 to January 5, the open air wonderland will compliment a series of Christmas themed events and displays put on by local businesses and organisations across the town. Cllr Marion Atkinson, Sefton Council’s Labour cabinet member for Regeneration and Skills, said: “We are incredibly excited for the open air ice rink and winter wonderland. “Thousands of families visit Southport and Sefton throughout the festive period to experience our fantastic food, drink and shopping offers and we know the wonderland will prove to be a massive hit, bringing more people than ever to the town. “We’re delighted to be working closely once again with the Southport BID to put on this fabulous event and we continue to do all we can to support and boost tourism in the town. 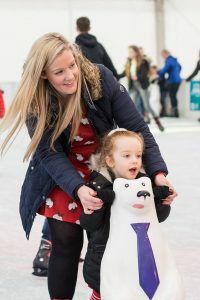 Rob Uffendell, Southport BID Chairman added: “Last year’s ice rink was a great success and we are pleased that with Sefton Council’s support we are bringing it back. “It is going to be an even bigger and better experience and the BID has invested in an exciting Christmas Tree and lights this year that will create a spectacular experience. The winter wonderland launches shortly after Southport’s huge Christmas Switch On, which takes place on Sunday November 18 from 1pm.